NL = The Netherlands ( 1 ), PL = Poland ( 2 ), PT = Portugal ( 1 ), RO = Romania (1), RU = Russia ( 2 ), UA = Ukraine ( 2 ), UK = United Kingdom ( 7 ). You will find in the table hereafter the list of the observers’ abbreviations in alphabetical order, with the number of observations made by each of them. Welcome to the new observers (in bold characters) ! Observations are visual and negative, excepted when otherwise specified. All times are in UTC. GCV : CCD imaging. The two observations are coherent with a shift of the shadow path, a quarter of its width and toward south, relative to the predicted one (GCV was just outside it, close to its southern border, and DKT nearly on the centreline). DGG : CCD imaging ; OKE : videorecording ; SPS : CCD drift scan. Reduction of the observations shows the prediction to be exact. Chords can be fitted by a nearly circular profile (177 × 184 km), slightly larger than the mean diameter used for calculations (162 km). Several observers were very close to the predicted shadow path but incertitude was great for this small asteroid (13 km). DGG : CCD imaging; FAR : videorecording; RSG : CCD drift-scan; GRS : Star hidden by clouds after 00:46:20.86. JLX : D1 : possible 0.2 mag. drop, more probably an atmospheric artefact; D2 : major extinction of the star, undoubtedly the real immersion, R : instantaneous reappearance. Transatlantic event, nine positive observations have been performed in the USA. Reduction of observations shows the prediction to be exact. Chords can be fitted with a 136 × 123 km elliptic profile, in perfect agreement with the 128 km -mean diameter used for calculations. DGG: CCD imaging, partial observation due to clouds. FAR : videorecording; PAW : CCD imaging, SPS : CCD drift-scan. RTH : CCD imaging, was effectively in the shadow path, close to the predicted centreline. Note the max predicted duration was 11.4 s.
FAR was effectively in the shadow path, close to the predicted centreline. Note the max predicted duration was 2.5 s.
The shape of (51) Nemausa is known to be elongated : an elliptic 166 ×123 km profile has been deduced from the 1983.11.09 event, involving HIP 116323 (information from WINOCCULT database). This can explain why DLR observed an event with duration greater than the max predicted one (6.3 s, based on a 148 km mean diameter). The three chords seem to draw half of an elliptic profile with short axis parallel to the asteroid motion. The path must have been shifted toward north, by about half of its width (based on the 148 km mean diameter), since DLR was close to the predicted northern border and but was probably close to the real centreline. NNE was nearly on the real centreline as he effectively observed an event with duration close to max predicted one (8.7 s). His observation and JSZ and MBU negative ones (both in the predicted path) are coherent with a shift of the path, half of its width and toward north, relative to the prediction. Observations (especially IMV negative one) show the path to be shifted toward north by a third of its width, relative to the prediction. Chords are scattered but can be fitted with an elliptic profile (160 ×180 km, with long axis parallel to the asteroid motion), significantly smaller than the mean diameter used for calculations (185 km). AZO was at immediate vicinity of the predicted shadow path but incertitude was great for this small asteroid (15 km). STP : CCD drift-scan, was just on the predicted centreline. Target star is known as a binary (171" separation, B at PA = 303° from A); MUM effectively registered distinct occultation of each of the two components, the other observers only the first component. Chords can be fitted with an elliptic 92 ×72 km, to be compared with the 69 km mean diameter used for calculations. An elliptic 83×58 km profile has been deduced from the 2004.05.23 event, involving TYC 6161-01208-1 (information from WINOCCULT database). SPS : CCD drift-scan, was at immediate vicinity of the predicted shadow path but incertitude was great for this asteroid. A 1 s -long blink beginning at 02:52:56.0 ±0.4 s (for an appulse predicted at 02:52:27 UT ±27s) was more probably a maximum of the cloud absorption. BUL’ station was situated 30 km south of predicted central line, and the observed event occurred 10 s later than predicted, so it may not be related to (4790) Petrpavec. PAW : many interruptions due to clouds; RTH : videorecording, no other significant dimming observed, longer than the exposure time; it must be noted that RTH observed a low-probability event, with duration significantly longer than the predicted one (2 s, deduced from an estimated 18 km diameter). The observations show the shadow path has been shifted, by about its width and toward north, relative to the predicted one: JVA and PCI were in the predicted path and FAR was close to the real centreline, as he observed an event with duration nearly equal to the max predicted one (6.7 s). FST : videorecording; incertitude was great for this small asteroid (13 km). Reduction of observations shows the path has been shifted toward south, by about half of its width, since DNZ was close to the southern path border and observed an event with duration close to the max predicted one (4.5 s). ELL was close to the northern edge of the track. Transatlantic event. In Europe, path was expected across Spain (north of Madrid) and n.Portugal, according to S.Preston's update. Pic-du-Midi observatory was situated 232 km N from shadow path, measured on the ground. A positive observation performed in USA by Roger Harvey (at W 80 33 28.4, N 35 22 24.4, 219 m, 4.5 s duration, from 06:06:27.2 to 06:06:31.7 ) showed that the prediction was accurate. Transatlantic event. Path was expected across the SW of France, midway between Bordeaux and Pic-du-Midi, according to S.Preston's update (Pic-du-Midi observatory was situated 132 km NNW from shadow path, measured on the ground). The max predicted duration was 2.5 s for a 28 km diameter. AEF was less than one shadow path width toward SE from BTG. The first BTG positive asteroidal occultation since 1982 ! The three observers DVA, KAD and TSV were in triple station, in the predicted path. Their negative observations show the real path has been shifted. The lack of positive observation lets the position of the real path remaining unknown. Received reports and results are summarized on www.euraster.net, a web page maintained by Eric FRAPPA from Saint-Etienne Observatory. Predictions with finder charts and up-dated shadow path are regrouped on the EAON web-site: http://astrosurf.com/eaon, maintained by Jean SCHWAENEN. 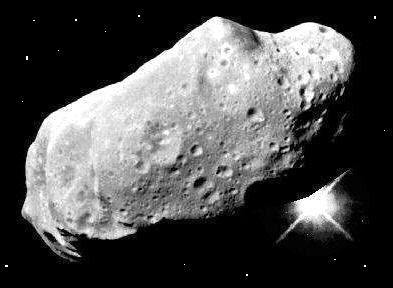 WINOCCULT is a software developed by D. HERALD, dedicated to prediction of asteroidal occultation and reduction of observations.